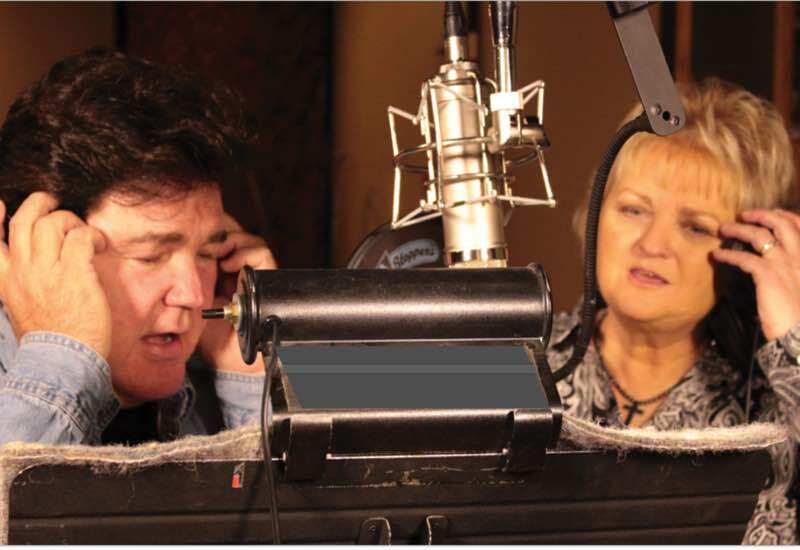 Lorraine Jordan & Carolina Road release their highly anticipated single, True Grass (Why Can’t Bluegrass Just Be True Grass Again) via Pinecastle Records. Featuring lead vocals from Blue Grass favourites Junior Sisk, Danny Paisley and tenor vocals from Randy Graham, the track also marks Carolina Road lead singer Tommy Long’s triumphant return after a battle with throat cancer. Fans can buy and stream the full song here. Even though I have dabbled in other styles, it’s always been true Blue Grass for me and my band. We play it with a fresh approach and drive it hard. We are carrying twin fiddles (Josh Goforth and Matt Hooper) now and this song has them all over it. Ben Greene, the legendary banjo player for the band, laid down some great hard-driving banjo. I brought in some heavy-hitters and was glad Tommy could lead the song off. Junior Sisk, Danny Paisley, Randy Graham and I joined in and it’s powerful – Lorraine Jordan. True Grass serves as the lead single from Lorraine Jordan & Carolina Road’s upcoming album, set for release later this year. Carrying a traditional flair, the song features thought-provoking lyrics like why can’t Blue Grass just be true grass again, which will remind fans of the genre’s heritage and how it evolved. Written by David Stewart, the track includes a catchy melody with world-class instrumentation. 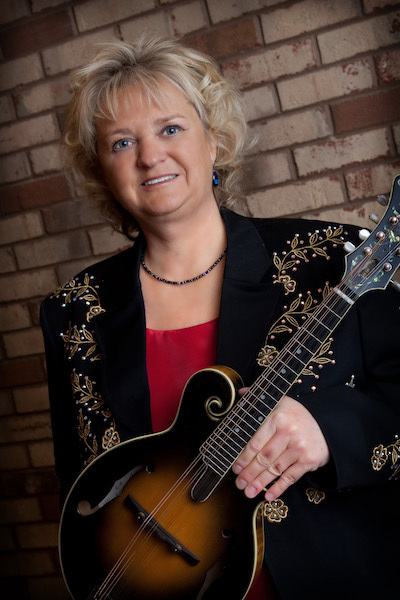 IBMA winner and SPBGMA Female Vocalist of the Year recipient Lorraine Jordan adds harmony vocals with some of Blue Grass music’s most prominent names. The upcoming album marks the follow-up to the award-winning band’s critically acclaimed Country Grass. Featuring original classic country artists singing lead on their biggest hits, the star-studded collection features collaborations with The Kentucky Headhunters, Lee Greenwood, Crystal Gayle, Marty Raybon and more. The project was also re-packaged in 2018 with the viral remake of “Seminole Wind” featuring John Anderson which was spotlighted on Rolling Stone. As the touring season begins to enter into high gear, Lorraine Jordan & Carolina Road will be hitting the road playing festivals and venues throughout North America. On select shows they will also be teaming with country legend Eddy Raven for the popular “Country Grass Show.” Carolina Road served as the backing band for Raven’s latest album, All Grassed Up, where the 8-time country chart-topper re-created his biggest hits, Blue Grass style. To check out upcoming tour dates for Lorraine Jordan & Carolina Road, visit carolinaroadband.com. 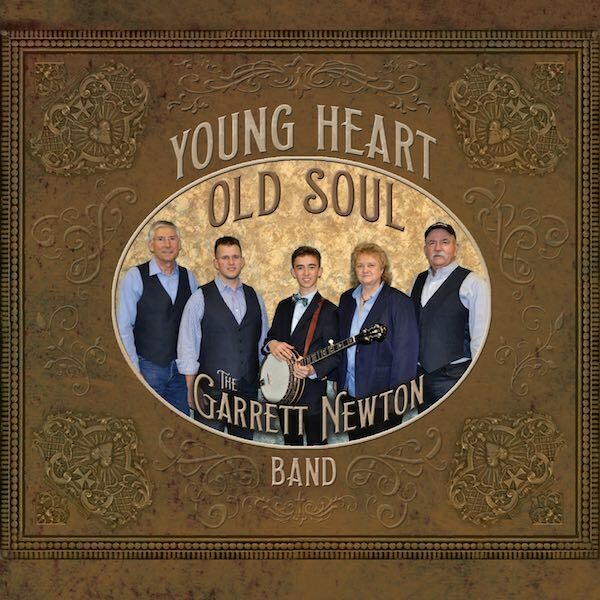 Garrett Newton’s debut album Young Heart Old Soul is now available on Pinecastle Records. The album is a real quality production that is sure to be well-respected in the bluegrass community. When one considers that Newton is not even 18 years old, the project is an even more impressive feat. The first single from the album “Country Poor and Country Proud” is already playing on radio station nationwide. Young Heart Old Soul on iTunes. Garrett has such an appreciation for old school bluegrass, I’m sure he’s had dreams of seeing Earl, Don or Sonny on stage, or seeing Ralph when he still played hard-driving, three finger banjo. And rest assured, Garrett knows banjo language throughout and first names of our first generation banjo heroes resonate with him quickly. You can hear a little of all those mentioned and others in his playing style – Joe Mullins. 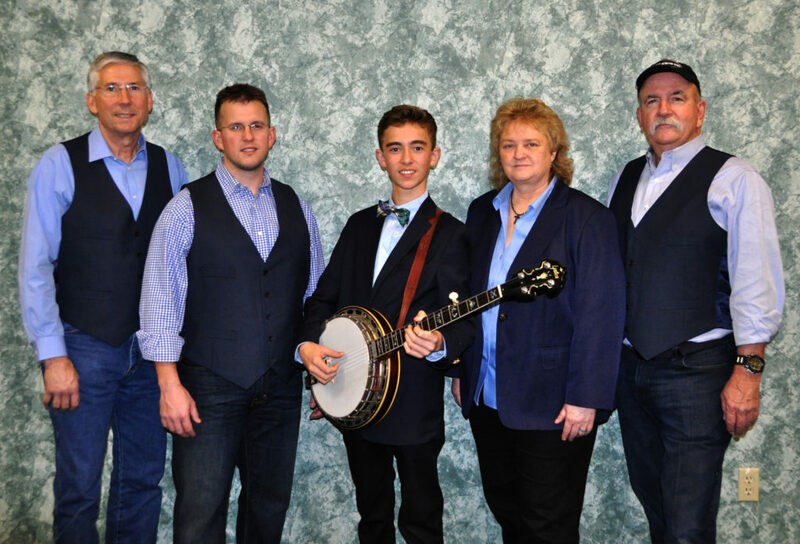 Newton is a gifted young banjo player from Eastern North Carolina. At a young age, he began attending local bluegra ss picking sessions and quickly became enamoured with the traditional bluegrass sound. He has devoted significant time to learning the history and absorbing the recordings of the first generation of bluegrass artists and it clearly shows in the style and drive of his banjo playing. It’s been 32 years since Lee Greenwood hit the top of the country charts with his smash single, “Dixie Road,” and the hit maker is continuing to turn heads with a new, recreated bluegrass version of the song. The singer/songwriter recently teamed up with Lorraine Jordan & Carolina Road for a remake of the classic song, with a more prominent banjo and bluegrass vibe. The video for “Dixie Road” made its premiere yesterday on Country Rebel. The new version of the song has already seen success internationally, when it was released as a single. The track finished in Hotdisc Countdown’s 30 Most Popular Songs of 2015, securing the No. 18 spot. The countdown highlights the top country songs across Europe, and is recognised and published in Country Music People, Country Music & Dance, and Southern Country magazines. The dynamic pairing looks to capitalise on that momentum with the latest official video for the song. Lorraine Jordan & Carolina Road has been busy promoting their latest album, Country Grass, released via Pinecastle Records. In addition to the cut featuring Lee Greenwood, the star-studded project also features collaborations with Crystal Gayle, John Anderson, The Kentucky Headhunters, John Conlee, Eddy Raven and T.G. Sheppard, Marty Raybon, in addition to the late Jim Ed Brown and Lynn Anderson. The critically acclaimed project has propelled the chart-topping band to new heights, securing features in top music outlets like Rolling Stone, The Boot, and Country Rebel, while also establishing a presence on their key genre websites like Bluegrass Today, The Bluegrass Situation, Cybergrass and many more. Hard work has paid off for this award-winning bluegrass band. Having a dynamic show has earned them over 100 performances each year throughout North America at more than 60 major festivals. Carolina Road plays worldwide and hosts a national bluegrass festival, Christmas in the Smokies. They have hosted the Canadian Bluegrass Awards, toured Europe, and played 15 bluegrass cruises. Carolina Road’s performance is a traditional sound with a fresh approach, which includes invigorating instrumentals, smooth blending vocals, and all the energy that you can stand! Lorraine likes to think of the band as a family, and her band members have longevity in the band. Ben Greene (banjo/vocals) “2015 Banjo Player of the Year” has been with Carolina Road for 11 years. Josh Goforth (fiddle/guitar/vocals), has also been with them for 11 years, and is a Master Fiddle Player Extraordinaire! He was a 2009 Grammy award finalist for the CD Cuttin Loose. Tommy Long (guitar/lead vocals) has been with the band for 4 years. His outstanding lead vocals and driving rhythm guitar playing helps propel the band. Also touring with the band is much sought after bass player, Alan Hicks, along with Dobro player Joe Pessolano. Throughout his expansive career, international country music icon Lee Greenwood has earned multiple CMA and ACM Awards, a Grammy for Top Male Vocal Performance on “I.O.U,” in 1985, and a multitude of other prestigious award nominations. His discography includes twenty-two studio albums, seven compilation albums, seven No. 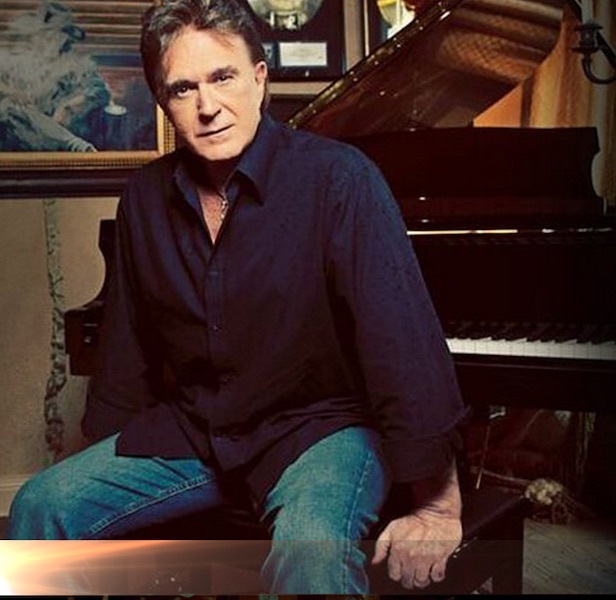 1 hits and thirty-eight singles including songs like “It Turns Me Inside Out,” “Ring On Her Finger Time on Her Hands,” “She’s Lyin,” “I Don’t Mind the Thorns if You’re the Rose,” “Dixie Road,” “Somebody’s Gonna Love You,” “Going Going Gone,” “You Got A Good Love Comin,” among others. His stand-out hit “God Bless the U.S.A.” has been in the top five on the country singles charts three times (1991, 2001 and 2003), giving it the distinction of being the only song in any genre of music to achieve that feat. It was also No. 1 on the pop charts after 9/11. Known for his stand-out patriotism and support of the U.S. Military, Greenwood has been honoured with the Congressional Medal of Honour Society’s National Patriot’s Award, and entertained troops on more than 30 USO Tours. His latest book release is a children’s book called “Proud To Be An American,” which is currently available in stores, on Amazon and LeeGreenwood.com. 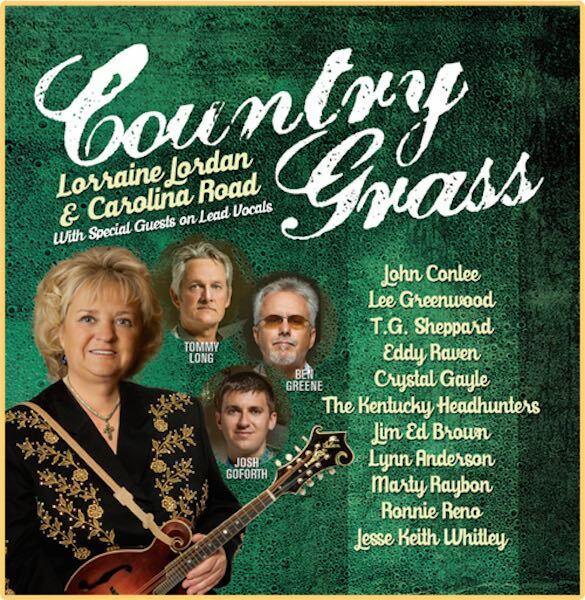 Lorraine Jordan & Carolina Road have released their new CD Country Grass on Pinecastle Records. This is a new sound inspired by country traditions. Country Grass is a musical collaboration, motivated by the new audiences attending bluegrass festivals. Many of these fans discovered bluegrass music because traditional country is hard to find, so Country Grass was born. Take country classics, add acoustic instruments, and invite the original lead vocalist to sing on the songs. Preliminary audience response to performing some of the tracks has been outstanding. Some of the original artists are on board for a Country Grass tour to complement other marketing efforts, which include a video with the Kentucky Headhunters performing “Runnin’ Water,” and a 2015 scheduled show with Eddy Raven. We are excited about this one-of-a-kind project, where bluegrass and country music cross paths in the Country Grass. This compilation album from some of the most well-known names in traditional country and the finest bluegrass pickers around will have folks dancin’ barefoot on the back roads – Lorraine Jordan.